Jeff Fichera graduated with an MFA at the University of Pennsylvania. 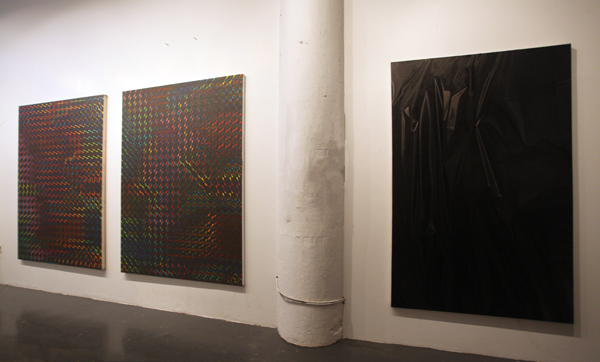 He currently lives and works in Bushwick, Brooklyn. 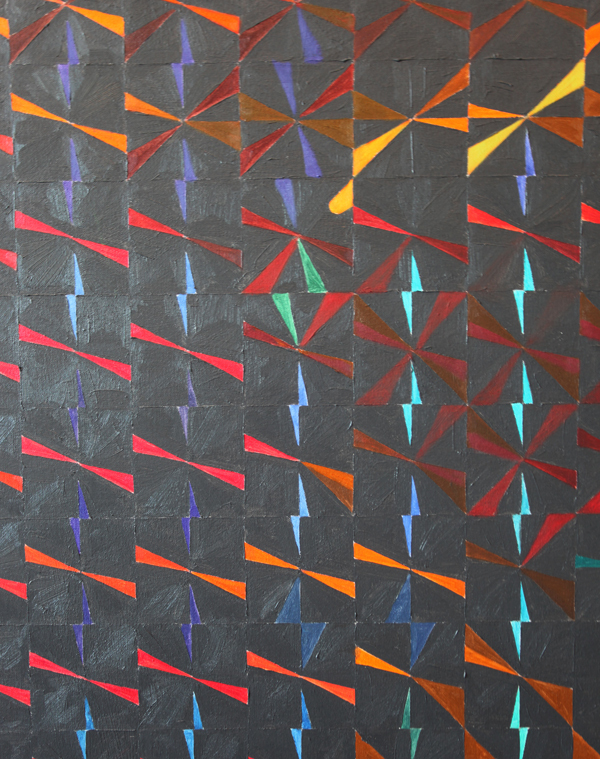 In his new body of work, he has created these geometric grids that, to the viewer, live outside reality but in fact, are truly hyper-focused exercises in observational painting. F: Tell me about your space and what you look for in a studio. JF: The first thing I want in a studio is for it to be 100% modular so that everything can move all the time. It’s free so any reconfiguration will work. The way I think about the studio in general is it can’t have any resistance to whatever you want to make and whatever you want to do and whatever condition you need. You need to be able to establish it without any problem which is why I have the blackout shades. It’s why everything is kind of movable. It’s why the lighting conditions can change. F: Speaking about the lighting situation, you’re very much in this vein of observational painting. Can you talk about that? J: This is a different type of practice than a lot of studios because I still do “easel painting.” Because I’m looking at something. There’s still this ‘looking at’ relationship kind of like as if I was painting a landscape but I’m doing it inside. 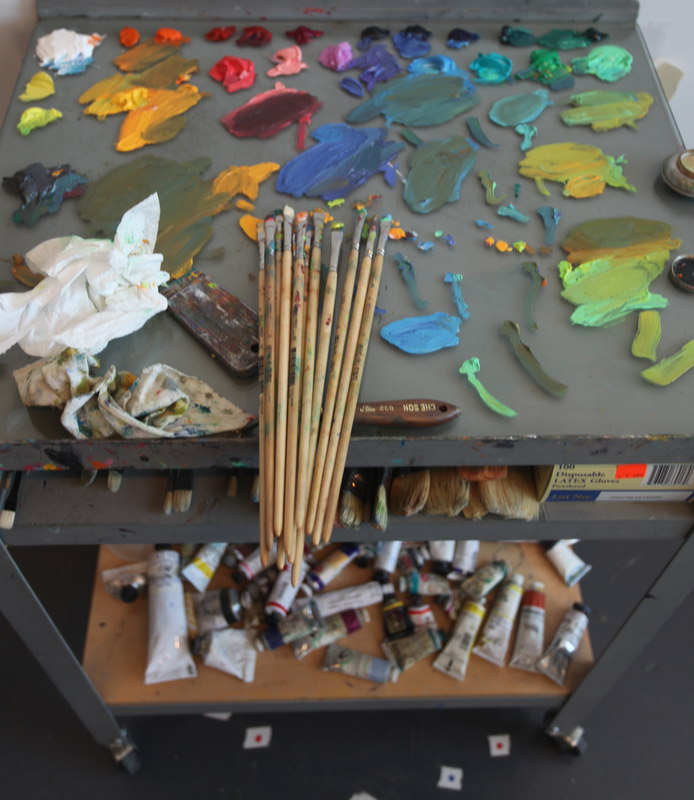 Light is critical to observational painting because the thing you’re looking at is subject to the environment. So when I was working outside, the landscape is subject to weather, clouds, and atmosphere. When I started painting inside, I wanted to be in total control of the light instead of being at its whim. So I wanted to continue to paint from observation and paint light but eliminate the illusion of space. So I started painting surfaces. Just like the painting is a surface, the paint is a surface, I’m trying to recreate a surface with this painted surface but instead of painting something that’s sort of simple, I’m trying to paint surfaces that are hard to place. F: Can you talk about the scale of your work and why you chose a sort of monumental scale? JF: There was a middle ground between painting landscapes and painting these paintings which was painting objects. Painting objects in space which had edges to it. Object and a bit of space. When I did that, I felt like scale was important. When I made the step of painting in from the edges of the object and painting just a piece of it, it became so decontextualized that scale suddenly didn’t matter and anything would work so I made these a scale that were sort of in a human scale. 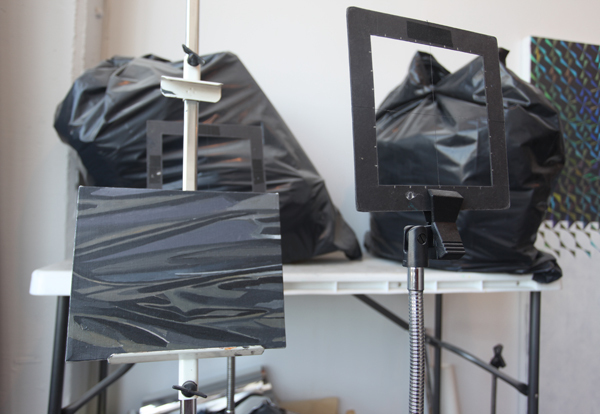 F: Can you talk about these ‘Plastic Bag’ works in relation to the ‘Prism’ work? I look at the ‘Plastic Bag’ paintings and I know exactly what they are versus the ‘Prism’ ones where you dont know what they are. Even if you did, you wouldn’t understand it as an object. Can you talk about that transition too? JF: The ‘Black Bag’ Series clearly are an object whether or not people recognize it as a black trash bag or fabric folded in space. They’re totally recognizable. I saw them as working in a really limited color range. 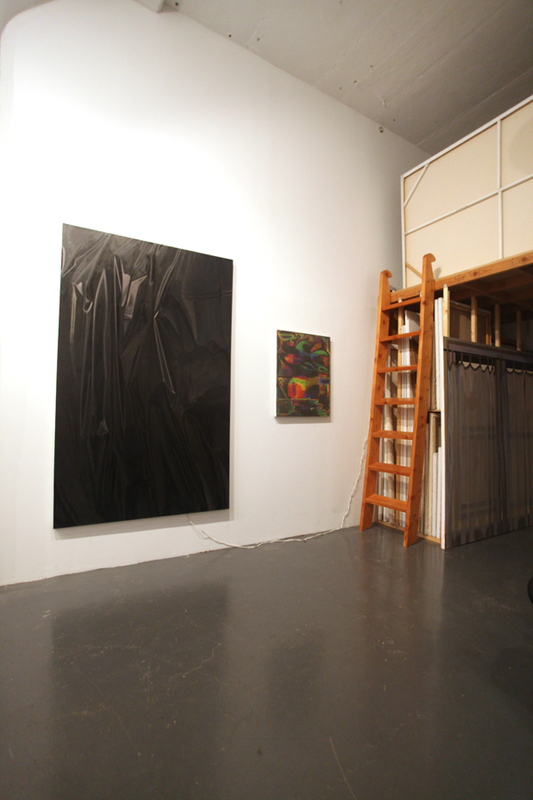 Also, painting in a near blackness, has a metaphorical weight to it. It literally and figuratively has a dark space. It doesn’t really tie much into these [the Prism Series]. I think of it as a separate project. F: After this project, where do you see yourself going? In terms of these ‘Prism’ paintings, I know you’re working on three more, do you think you’ll keep on doing these? JF: I keep doing paintings based on this motif. I plan on doing six of these or maybe a hundred. I finish a painting and then there’ll be a reaction to it so I plan on doing more. 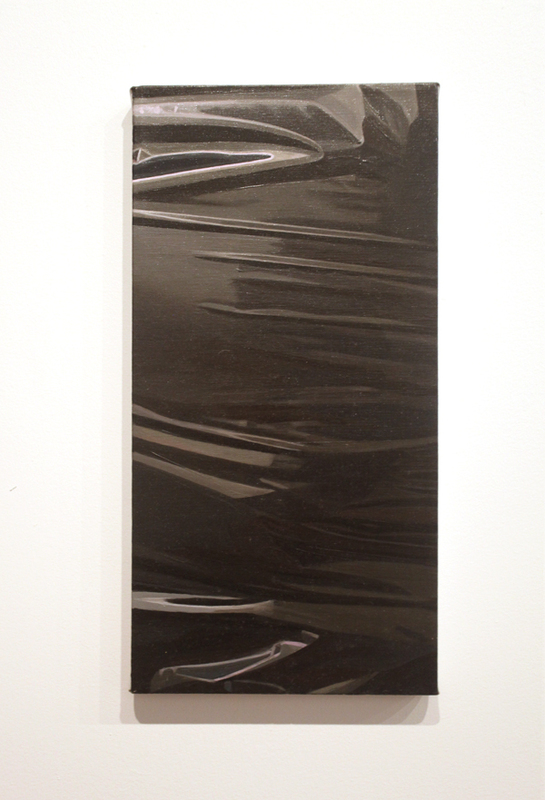 I want to continue on the ‘Black Plastic Bag’ Series and I want to get more depth into that. Both of these projects are reactions of a decade of painting from landscapes and both of them are objects that are not found in nature. So it’s something not found in nature and I think that’s what I’ll look forward to in the future. More weird things that I can look at that I have never seen in the natural world. 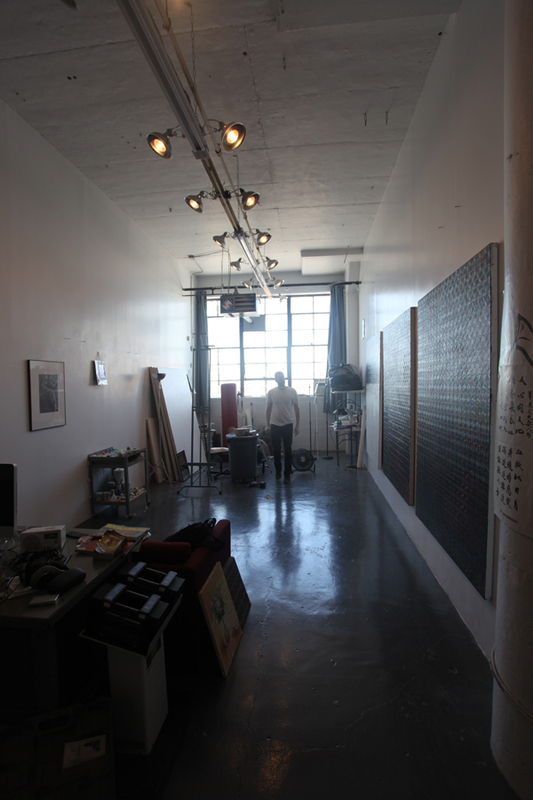 Click below for a 360 view of Jeff’s Studio.